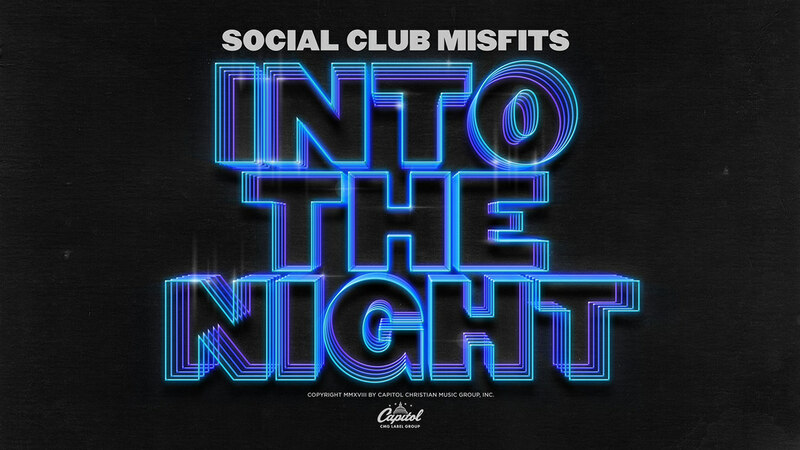 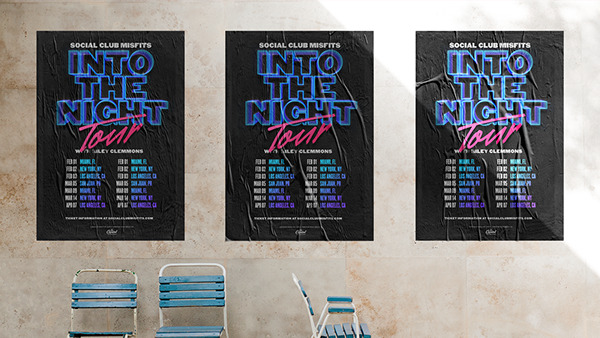 Social Club Misfits — "Into the Night"
The album vibe had a throwback style to the days of 80s/90s hip-hop—moods that we translated into the album package. 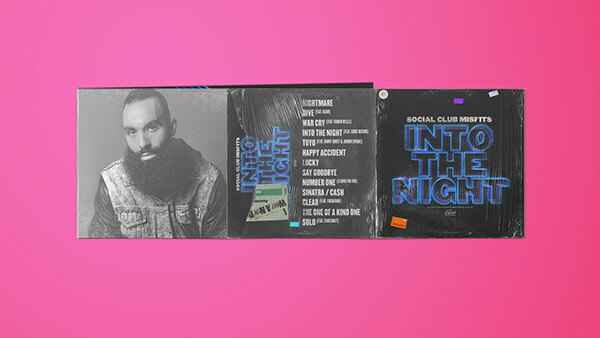 We pulled inspiration and textures from old records to create a unique experience of packaging a CD in a retro vinyl style. 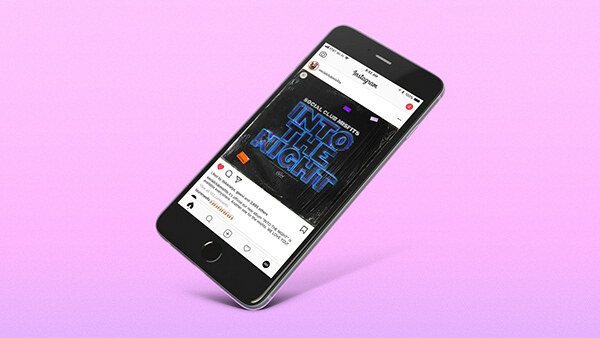 Using a typeface reminiscent of American woodtypes of the late nineteenth century, the primary visual element of the brand, “Into The Night” was built using a type-treatment that emulates retro-neon signage from the late 70s to early 80s. 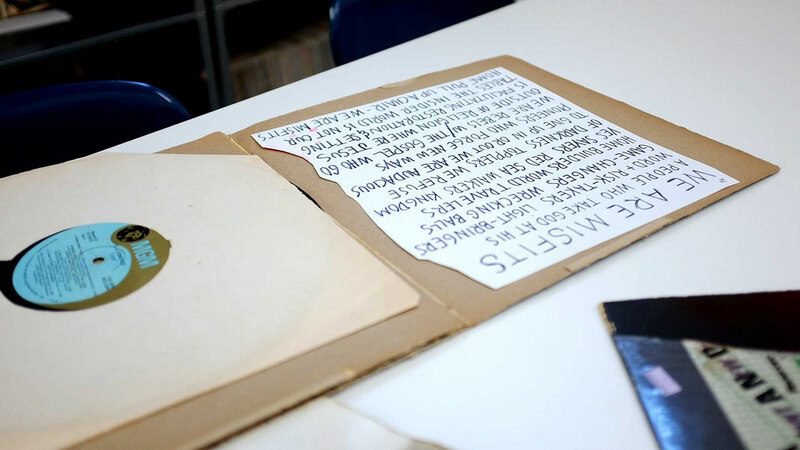 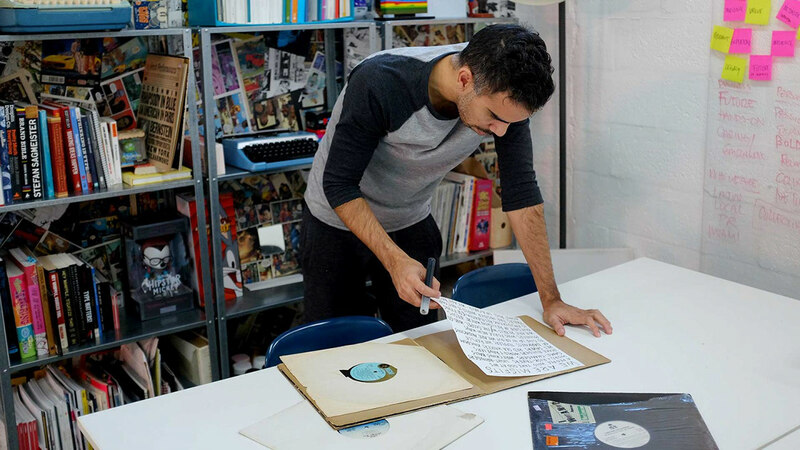 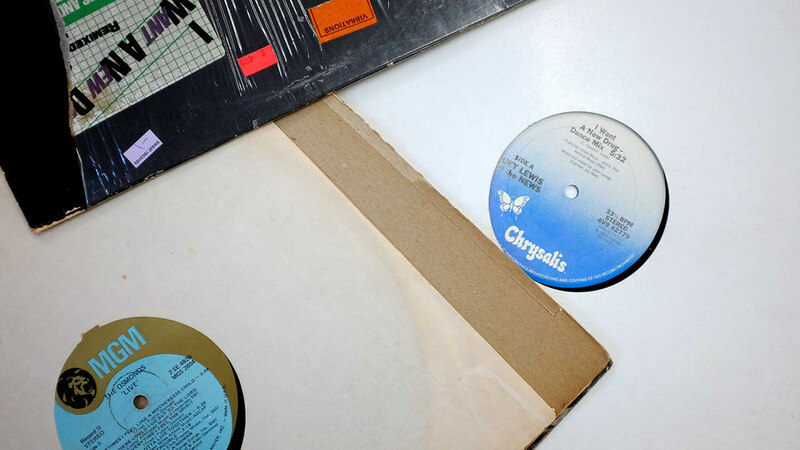 We searched for and then scanned cardboard paper textures found in old vinyls — shrink-plastic wrap, worn edges, original stickers and price tags — to create a CD packaged as a vinyl. 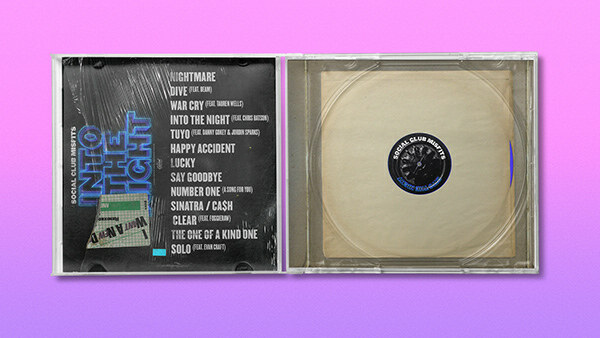 The CD label was designed as a fun surprise when the user opens the jewel case, in style of a bright vinyl record. 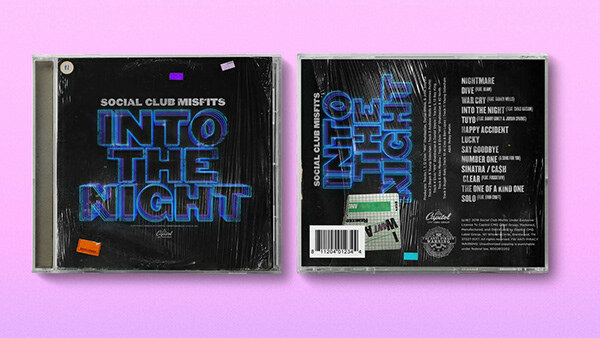 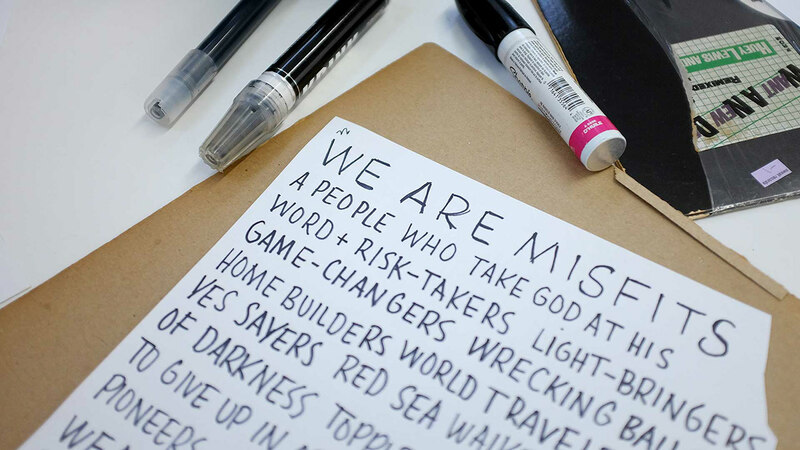 A 5-panel booklet aimed at paying tribute to the culture of Social Club Misfits. 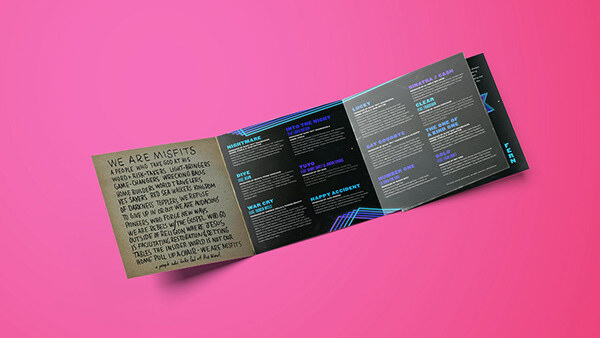 We continued the retro vibe, designing the booklet with line elements that reveal new sections of content. 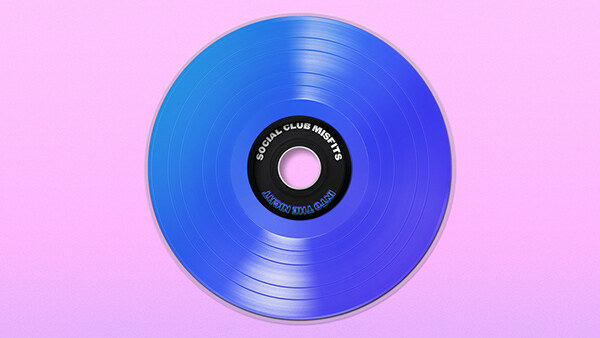 We appreciate the likes & shares. 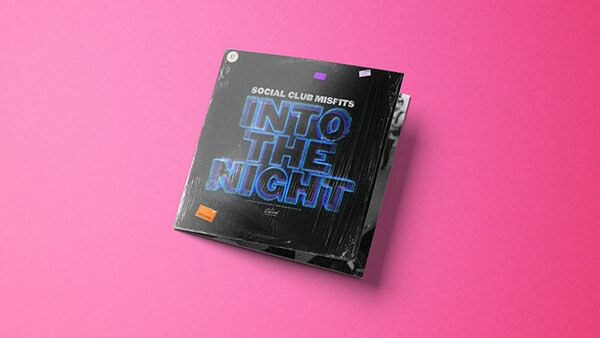 Album package for Social Club "Into the Night."